Maie's colourful garden at the heart of Paikuse small town is a source of inspiration and ideas for many gardening enthusiasts. 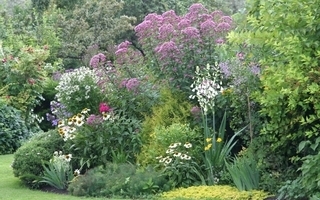 This English style garden, which mainly uses perennials for landscaping its 1400 m² area, is full of beauty from early spring until late autumn. 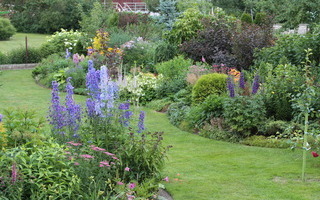 The flower beds of the perennials are framed with various conifers and decorative bushes. 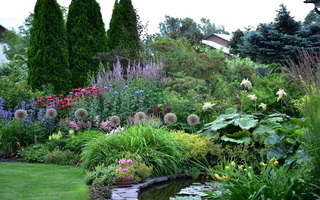 Free-form water feature is surrounded by lush greenery with moisture loving plants. There is also a rockery in the garden with different grasses and alpines. 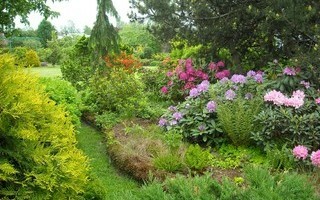 Underneath a large mountain pine is a peat garden with many rhododendrons, ferns and grasses. In the spring common ornamental bulbs like tulips, snowdrops and crocus are blooming. 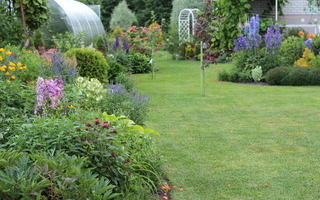 The flower beds with harmonious colour schemes can be admired until the first bigger frosts. 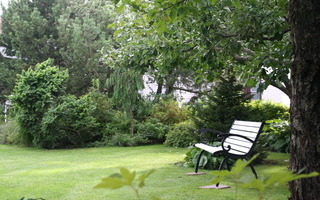 Tere are around 1000 taxons of vascular plants in this garden. 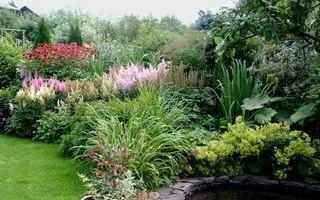 The owner of the garden has a diploma in horticulture, and she is happy to share her experience with all gardening enthusiasts. 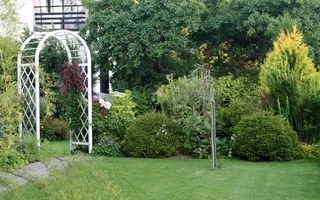 VISITOR INFORAMTSION: The garden can be visited by prior agreement and open garden days. Visiting fee €3 per adult.